The responsibilities of a Senior Fellow are to promote the work of PPAF, to collaborate in areas of common interest, to provide guidance in their areas of specialty and contribute in other ways. Senior Fellows may participate in various PPAF activities. We greatly value their contributions. Michael Ambrozek has worked in Information Technology throughout his career, across numerous industries and service organizations. Most recently he was project manager in information technology focused on financial services with Western Union. He previously worked with various consulting companies in Australia. With PPAF Ambrozek has supported our work in computer distribution and in marketing and public relations. He currently volunteers as a docent at the Keepers House at the Old Croton Aqueduct in Dobbs Ferry, New York, and is a member of the Planning Board of the Village of Hastings-on-Hudson. Ambrozek studied chemical engineering as an undergraduate at MIT and graduated with a B.S. in Information Technology from the University of Technology – Sydney, Australia (formerly New South Wales Institute of Technology). Michael has lived in Trinidad and Tobago, Mexico, Switzerland and Australia and has traveled widely. He speaks fluent French and Spanish. 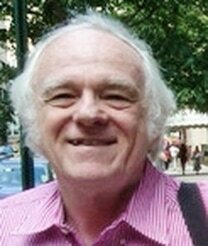 Dr. George Garland is an independent consultant who formerly was Executive Director of World Energy Forum. Garland's 34 year career with the U.S. Environmental Protection Agency included development and implementation of financial responsibility regulations for hazardous waste management. From 1988 to 1992, he worked with India, Indonesia, Burma, Sri Lanka, and Thailand as Chief Technical Advisor for Toxic Chemicals and Pollutants in WHO's Regional Office for South East Asia. His international work also includes assignments in South Korea, and Oman. Garland worked with the World Bank in the Russian Federation to establish a national hazardous waste management system and with USAID in Russia to improve the water supply system of Nizhni Tagil, Sverdlovsk Oblast. He has several articles in Biocycle magazine on organics management (compost). 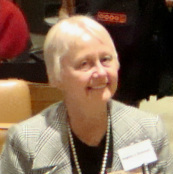 Garland serves as the President of the UN Association of the USA (UNA-USA) Southern New York State Division and as Director of its Energy Project. He previously was Executive Director for National Membership at UNA-USA. He also served as Executive Director of the UNA of the National Capital Area. He has served as Executive Director of UNA-USA's Members Day at the United Nations in 2009, 2010 and 2011 and as moderator of the 2011 panel on energy and climate change. Dr. Garland has a degree in Applied Mathematics from Brown University, a Masters Degrees in Industrial Administration from Carnegie Mellon and in Public Health from the University of North Carolina School of Public Health, and a Doctorate in Business Administration from George Washington University. Dr. Ruth DeFord (Kotecha), was Treasurer of PPAF from February 2013 to December 2015. She is Professor Emerita at Hunter College and Graduate Center of the City University of New York. She taught music history and literature in the Music Department from 1977 to 2012 and served as Music Department Chair at Hunter College from 2006-2012. She is the author of numerous published scholarly papers, book reviews, and conference presentations. She is also the author of critical editions of music. DeFord also has worked parttime since 1999 with the Structured Credit International Corporation in an administrative capacity. In addition to board membership and volunteer activities with numerous music organizations, Ruth serves as a board member with the Rivertowns League of Women Voters and the Hudson River Audubon Society. She has also served on the board of the Fund to Preserve Hillside Woods and as a docent with Friends of the Zoo, Bronx Zoo. Her greatest interests are environmental protection, women's rights and economic development. DeFord's educational background includes a B.A. from Oberlin College, B.Mus., Oberlin Conservatory of Music, and a PhD (musicology) from Harvard University. Her languages include German, French, Italian, and Latin. David Forbes-Watkins served as Senior Financial Consultant with PPAF. He has extensive experience in finance and administration. He served as Director of Finance at My Sisters’ Place, a non-profit in Westchester County, New York; Director of Finance and Administration at Planned Parenthood of Hudson-Peconic; and Finance Manager of the International Center for Integrative Studies - The Door. He also was Associate Director for Management and Operations at the American Council for Nationalities Service (now Immigration and Refugee Services of America), and held that position also with the international Project of the Association for Voluntary Sterilization (now EnGender Health). Earlier he was Director, Management Planning and Systems at Lehman College and Chief of the Administrative Branch, Health and Safety Laboratory of the U.S. Atomic Energy Commission. Forbes-Watkins is a member of the Zoning Board of Appeals of the Village of Hastings-on-Hudson, NY and volunteers with Meals on Wheels. Forbes-Watkins has a Masters of Public Administration from the Harvard University Graduate School of Public Administration (now Kennedy School of Public Policy) and a B.A. from Case Western Reserve University. At the United Nations, John L. German represents People to People International (founded by President Eisenhower) and other civil-society organizations, and serves as the NGO (non-governmental organization) representative to the Technical Subgroup of the Working Group on Informatics of the UN’s Economic and Social Council (ECOSOC), and as Senior Advisor to the United Nations Public-Private Alliance for Rural Development. German is the Director of Non-Profit Computing, Inc., a nonprofit all-volunteer organization he founded in 1984. NPC arranges computer donations, procurement, and logistics worldwide and advises and assists international organizations on strategy, institutional partnerships, and technology. NPC is a member of the United Nations Global Compact. For The Rotary Club of New York, German serves as Co-Chair of its International Service Division. His paid-job career, after living and working briefly in South Africa, was in international banking, first with a major Brazilian banking group, in Brazil, and then with Citibank, in Brazil and then in the USA. He has an MBA from Harvard Business School and a BS from Pennsylvania State University. Dr. Heck's laboratory aims to understand the complex interactions of biochemical, genetic and environmental factors that underlie the development of human diseases, including cancer and multi-drug-resistant tuberculosis. Her research focuses on mechanisms of inflammation and toxicity mediating chemical-induced injury, wound healing and carcinogenesis. Dr. Heck's interests include analyzing and understanding the effects of environmental contaminants on sensitive populations; she has participated as an ad hoc member of numerous panels addressing these issues including the National Institutes of Environmental Health Sciences and US Environmental Protection Agency. She also maintains an active interest in children's environmental health and remains a member and advisor to the Children's Environmental Health Center of the Hudson Valley. Dr. Heck has numerous publications and patents, has received numerous awards for innovative academic research, and has served as a member and an officer and advisor to societies focused on scientific research. She has presented her findings at numerous colloquia and institutions worldwide and is recognized as an expert in the fields of chemical biology and toxicology. Dr. Heck received her BA from Douglass College, New Brunswick NJ and her Ph.D. in Pharmacology and Toxicology from Rutgers University. She completed her postdoctoral training at Ernest Mario School of Pharmacy of Rutgers University. She served on the faculty of Rutgers University and the University of Illinois before joining the faculty of NYMC in 2007. Carlos A. Lithgow, Jr. is a Senior Consultant at Commerce Coverage Group-EAC Brokerage Inc in New York City, specializing in Property & Casualty Insurance and benefits for small and large businesses. Having worked with major investment companies throughout his career, he has also consulted with US and International Institutions on terms of risk and portfolio management. He has also advised High Net Worth individuals and Family offices in the United States, Europe and Latin America on asset management and domestic and offshore estate planning. He served an instrumental role in opening up a new Financial Center for Dreyfus Service Corporation in Coral Gables, Florida where his group built a client base into one of the top performing offices in the country. Lithgow has a Masters Degree in Finance from Florida International University and is a board member and spokesperson for the Leukemia & Lymphoma Society’s NYC patient services group. Cara Webb Mullen is a Scientific Advisor with Sustainable Technology Systems, Inc (STS). A biologist and clinical laboratory specialist in cytogenetics with a Masters in Public Health, she analyzes and provides recommendations on various feedstocks for potential ethanol production, offers laboratory training and academic instruction, provides technical support on biomass processing, and advises on chemical and enzyme processing as well as wastewater and product infection management. She has experience with large-scale US-based ethanol companies, where she has given technical support for their process and laboratory and engaged in presentations, training, infection control, microbiology, wastewater analysis, fermentation analysis, and sales of antibiotics and yeast. She and others from STS began association with the Public-Private Alliance Foundation for work in Haiti. Mullen earned an MPH and a B.S. in Biology with a minor in genetics and American History from Indiana University. Padmini (Mini) Murthy is a physician and an activist who did her residency in Obstetrics and Gynecology. She has practiced medicine and public health for the past 28 years in various countries. She has been working in various arenas of the health care industry. She has a Master's in Public Health and a Masters in Management from New York University (NYU). Murthy has been on the Dean's list at NYU Steinhart School of Education and named Public service scholar at the Robert F Wagner Graduate School at New York University. She is also a Certified Health Education Specialist. Murthy is the NGO Alt Representative of Medical Women International Association to the United Nations. She has served as a consultant to the United Nations and is on faculty at New York Medical College as Director of Global Health; currently Murthy also serves as the communications/ correspondence secretary the Executive Council of the NGO CSW Committee of NY at the United Nations. John E. Stillman is currently Director of Quality Systems for Bunker Hill Consultation Center. He is an industrial hygienist whose career began in 1972 at the NC Department of Human Resources- Health Services as Supervisor of the Occupational Health Laboratory. From 1979 to 2000, he worked with Exxon Corporation, Exxon Biomedical Sciences, Inc., and then ExxonMobil Corporation. At Exxon, he was a Section Head of the worldwide Industrial Hygiene Laboratory, Head of EMBSI Quality Services Support Section, and worked as Director of EM Worldwide Refining and Lubricants Laboratory Quality Systems Development and Evaluation Program. He spent a decade in Laboratory Quality System training and assessments throughout Exxon. He was a Diplomat of the American Board of Industrial Hygiene- Chemical Aspects (retired 2004) and a Certified Quality Auditor, certified by the American Society for Quality (retired 2003). In addition to various publications and peer-reviewed presentations, Stillman co-authored the Exxon Laboratory Quality Assurance Standard- the Quality Practices and Guidelines for Exxon Laboratories, which was based on ISO 9000 and EN45001 international standards. Stillman obtained his BS in Forest Biochemistry at SUNY College of Forestry at Syracuse University and his Master's degrees at the University of North Carolina School of Public Health (MSPH- Environmental Sciences) and NC State University (MAB- Biochemistry). ​Giorgio Balestrieri was the 2011-2012 President of the Rotary Club of New York, The Host Club of America. He is an international consultant in Sea, Land & Airport Cross Border Security and an expert in advanced Homeland Security technologies and methodologies to counter narco-terrorism. Commander Balestrieri is a former navy officer, graduate of the Italian Navy Commanding School and Captain of a combat ship. He received a degree from the Navy College/ University of Pisa, in Defense & Security Sciences, and has over 40 years’ experience in NATO and national operations, in international affairs, and in liaison and negotiations for regional development and conflict prevention. ​An involved member of the Rotary Club of New York for over 20 years, Balestrieri initiated its International Days in the mid-90s and in founded in November 2001 the International Breakfast Meetings at the UN. He also, with Ambassadors and fellow Rotarians, started the process for the approval of the United Nations Public-Private Alliance for Rural Development in 2003. ​In March 2005, as the Chairman of the International Service Division of New York Rotary, he was a key player in the peace development process in the Caucasus with a Declaration signed by the representatives of over four hundred Rotarians who came to Ankara from Armenia, Azerbaijan, Georgia and Turkey. "I have the sad duty to tell you that our friend and PPAF Senior Fellow Peggy Korth passed away in her sleep last weekend in New Mexico. It was a shock to family and friends, and a surprise, as she had even been posting messages to her FaceBook account the evening before. Peggy was an expert in biofuels and small-scale distillation, and was the leader of Sustainable Technology Systems, Inc. That firm provided skilled subcontracted services to PPAF in our 2013 consultancy for the Inter-American Development Bank on ethanol fuel and stoves in Haiti. Through that Peggy brought to us expertise from Cara Mullen and Tom Setchel, now also Senior Fellows. In addition Peggy made important in-kind contributions of distillation equipment for use in our project work. Given below is the entry for her in the Senior Fellows section of the PPAF website. She was a dear colleague and will greatly be missed." Peggy G. Korth, Principal of Sustainable Technology Systems, Inc., has over 17 years’ involvement in environmental projects including biofuels. She offers a rich resource to organizations interested in these areas. 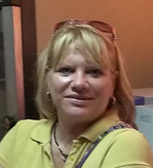 Ms. Korth provides experience in remediation and biofuels research, outreach and educational practices and products. Focus on building small and mid-sized biofuels production has placed Ms. Korth as an authority in system development and includes over 25 speaking engagements and publications plus specialized collaboration for the integration of unique bioenergy products to serve mid-sized bioenergy and renewable energy producers. As a consultant with the Gerson Lehrman Group, Ms. Korth advises emerging companies on bioenergy investment interests. She is a co-owner of the Alcoholfuel Forum, which hosts approximately 3,000 interested enthusiasts and authors for the Cattail Histhings newsletter. She also serves as the president Water Assurance Technology Energy Resources (WATER), a non-profit 501-(c)(3) organization. Duties include staff training, curriculum development, business growth, problem-solving, environmentally focused text development, organizational planning, project management, and consulting. Ms. Korth developed the water purification technology into a prototype ready for manufacturing. Marty Borruso is a principal at Medesco (www.medesco.net), based in New Jersey, which provides clients with technology solutions for low cost and high efficiency energy sources. Medesco, LLC consults, designs, and installs on-site Tri-generation (Combined Cooling, Heating and Power or CCHP) energy systems for mid-size and large facilities. These systems are custom configured to each facility's energy profile to optimally balance cost efficiency, environmental footprint and energy security. Borruso was previously the Chief Executive Officer of Fuel BioHoldings, a biodiesel fuel business he founded. In 2005 he built and operated a 12 million gallon biodiesel production facility in Newark, New Jersey, which he later sold. Borruso has spent 30 years working as an entrepreneur, engineer, and chemist in pollution prevention, waste treatment, metal finishing, lean manufacturing, co-generation, and alternative fuels. He is involved in environmental issues in New York and New Jersey working on Brownfield remediation as well as contributing to the consumer tax credit for biodiesel in heating oil in the recent gas tax reduction legislation. He began his business career in 1976 at the D France Corporation where he was vice president and worked on integrating pollution prevention programs in manufacturing processes. In 1990, he founded an engineered systems company which designed and built automatic plating machines, industrial wastewater systems and over 50 co-generation sites. In 1983, he founded Plating Systems Incorporated, a metal finishing company that was also involved in industrial waste treatment and process system development, including implementation of ISO standards in manufacturing. He holds a BS in Forensic Chemistry from John Jay College in NY City. V. Judith Bowman has thirty years of managerial / risk-management and lending experience with Citicorp / Citibank. As a Vice President and Senior Credit Officer for Citibank, her work included significant involvement with high-net-worth entrepreneurs in financing equity-type investments in new ventures and small/medium size enterprises. She also volunteers with SCORE, Service Corps of Retired Executives, an affiliate of US Government's Small Business Administration, where she counsels small business owners on development of business plans and financing. 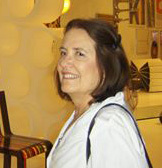 Judy has an MBA from Fordham University, BA from Smith College and studied History at the Sorbonne. She is a member of the Explorers Club of New York and the Travelers Century Club, whose membership is restricted to those who have been to 100 plus countries. Eben Bronfman is a professor and political consultant. He was formerly a Financial Advisor/ Financial Planning Specialist at Morgan Stanley/Smith Barney in New York City, where he managed client accounts and created customized financial plans for business and institutional clients and for individuals and small businesses. Previously for 25 years he was Special Assistant to the District Attorney of New York, Robert Morgenthau. There he was responsible for policy issues projects, legislative liaison, special events planning, security planning, political liaison and other issues and special projects. Bronfman has also held several academic posts. An Adjunct Lecturer at Berkeley College (Westchester Campus) since 2009, he teaches Forensic Science, Community Policing, Introduction to Justice Studies and Security Management. From 2006 to 2008 he chaired the Division of Criminal Justice at the ASA Institute (NYC), with some 700 students in an Associates Degree Program. There in addition to administrative and teaching responsibilities he led the Division through ACICS and Middle States Accreditation processes. From 1990 to 2001 he was an Adjunct Professor at John Jay College of Criminal Justice (NYC). He has served as chief of staff to the Assistant Majority Leader New York State Assembly, consultant to the Minority Leader of the Suffolk County Legislature, and has been active in many judicial and public office campaigns for the Democratic Party. Bronfman obtained BA and MA degrees from John Jay College of Criminal Justice; was a PhD candidate at the City University of New York; and took courses in e-commerce at Columbia University. He holds certifications from FINRA (Financial Industry Regulatory Authority) and memberships in several security-related professional associations and other civic groups. 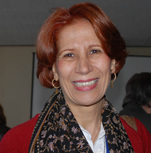 Dr. Hanifa Mezoui is the President of “Association UN-NGO-IRENE”. The Association was founded under her guidance as a critical channel for communicating key themes and programs between the UN and the NGO community worldwide. Previously she enjoyed a distinguished career with the United Nations for 30 years, completing her work as Chief of the NGO Section of the Department of Economic and Social Affairs (DESA). Since March 2009 she has been designated as the Permanent Representative to the United Nations and ECOSOC of the “International Association of the Economic and Social Councils and Similar institutions” (AICESIS), IGO1 in Observer status with ECOSOC. She is a member of Pio Manzu Centre’ Scientific Committee. Dr. Mezoui is from Algeria and holds a Doctorate in French Linguistics, an MA in French Literature, an MA in applied Linguistics and an MA in Business Administration from the University of Aix-en-Provence, France. Her awards include UN-21, Republic of Italy-Pio Manzu, All India Education Fund Association-Scroll of Honor, The Women Organization Union of the Republic of Sakha (Yakutia), Minister of Justice Algeria, UN-NGO-IRENE, Association Tunisiènne des Mères, Association Telecommunication Academy, World Federation of United Nations Associations, Women Together Award, and the Africa Vision Award. Tom Setchel is a Distillation Consultant and Energy Conservation Specialist. He provides small-scale and mid-sized fuel ethanol production consulting and project management services. He specializes in the design and manufacture of fuel ethanol distilleries with various adaptations for energy efficiency, feedstock processing, and operational systems for rural communities, farms and small commercial ventures both in the USA and in developing countries. He is well-practiced in distillation, heat recovery, energy efficiency and recycling of heat for alternate uses. He is also experienced in solar domestic hot water heating and can integrate this to ethanol production and related uses.